We are a full services Spanish Event located in The Bay Area. We can provide everything you need, food ,beverage, tables, chairs and linens . 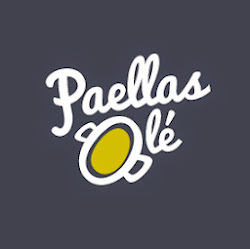 Paella is a Valencia rice dish that originated in the modern form around the mind in19 th century near lake Albufera , a lagoon in Valencia, on the east coast of Spain. Most paella chef use a special type of rice and other key ingredients include saffron and olive oil . Valencian Paella: white rice , green vegetables , meat , beans and seasoning . Mixed paella: Mixes same ingredients with free-style combination of meat , seafood , vegetables and sometimes beans . Meat Paella: Mixes meat, chicken, and pork with organic and seasonal vegetables. Black Mediterranean Paella: rice , calamari, clean seafood, cuttlefish , garlic , tomatoes and fresh parsley . The word "Tapas" is derived from the Spanish verb Tapar ,which means "to cover ". Pintxos : Are like tapas but sometimes better. They are traditionally pierced with a cocktail stick, to attach it to the piece of bread that they invariably came attached to. They are very common in Northern Spain.